Streaming evolved from time to time. There was a time when VCR ruled the movies being rented from movie stores; later cassette took charge till the time the Internet was not introduced. Then came the World Wide Web where you could find and search anything! Many streaming channels entered the market; some stayed while some halted. Among those came Kodi. The open source media player integrated streaming to new heights increasing user perception and expectations. Now because of Kodi; users demand more content. But that too lies in the fate of a Kodi addon called Project M Addon. ReviewsDir decided to bring an analysis of Project M addon. 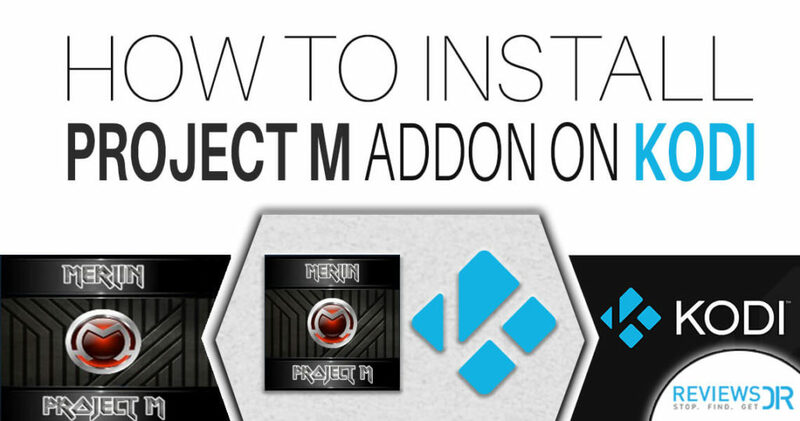 Unlike other addons Project M is a platter of four video addons. It is among the rarest addons that are compiled together to create one. Named after the developer himself, its available in merlin repo only. Having four addons together means all four addons need a proper introduction separately in order to understand its perks and qualities truly. Includes IPTV, Movies, Music, and Sports while Tykes, Falcon, cryptic and eyasses. Like mentioned earlier only when all four addons will be explained, then alone users can understand the power of Project M. Each category has its own unique selling point. Under the IPTV umbrella, Ultra IPTV, Sports IPTV, Nordic IPTV exists which are a bundle of joy when it comes to hassle-free streams. Merlin combined and integrated major addons and brought them into one, so users do not feel the urge to look somewhere else for sports or movies. Everything combined in a single package. Sports in every genre is a detailed field which is dealt with Devil Kodi addon. This is where live events, races, F1 Grand Prix and much more come into play. Tykes out of the rest, deal in animated collections, family and kids TV. Tykes fills the gap as the fourth of the addon to complete the dedication and investment. Browse back to Kodi home screen, and click on the Settings icon. After which select File Manager and add Source. Select None and copy paste URL “http://mwiz.co.uk/repo”. Name it ‘MWiz’ and click ‘OK’. Select repository.merlin.zip and install it. Select Merlin Repository to open it. Click on Video addons and select Project M.
Wait until you see the Project M Addon Enabled notification. All the program addons you install, including Project M, will appear here. Follow these steps in the correct manner and you’ll efficiently work your way through Project M download. NOTE: It’s essential to understand that Project M is an unofficial Kodi repository which has no direct connection with Kodi itself. Any distribution of illegal content through Project M has no regard or connection to Kodi. Due to that reason Project M has been shut down by authorities. It’s important to understand the consequences leading to the use of illegal content on Kodi. Kodi itself does not fall in the illegal category, but it’s unofficial repositories do! Which is why we highly recommend users to use a Kodi VPN to access Project M.
Due to being involved with the authorities, it’s highly possible that users won’t be able to access Project M on their Kodi devices. No need to worry. ReviewsDir always offers contingency plans in order to give the best experience possible, for that we have compiled a list of Project M alternates and their installation guides. As a Project M alternate, Neptune Rising is an unofficial addon which gives users the complexity to watch unlimited movies, TV shows, and foreign content online. The best part about adding Neptune is it’s recently been updated to v1.3.2, cleaning and fixing more bugs and lags in the addon repository. Among the few addons which are still running and functioning; Neptune holds a spot as it’s not only working but constantly being updated as well by the developers. The addons servers as an alternate for Covenant Kodi addon as well providing streams for movies while giving the complete control over accessibility. Launch Kodi 17.6/Kodi Krypton or Kodi 18 Leia. Download Blamo Repo from the given URL “http://blamo.teverz.com/“) in the first step and Click OK. Known as being a copy of Exodus, Flixanity unlike others is a new addon which gained fame awhile back. The addons let users choose and accessed the right information to stream videos on demand from known and trustworthy sources. While Net Neutrality is at a rise and Kodi a free media player has attracted law enforcement to shut down the use of Kodi boxes and third-party addons. But if you don’t want to get in serious trouble with the law, its suggested users utilize an Anonymous VPN, so you stop fearing the worst case scenario while using Flixanity as an alternative to Project M. let me remind you again that the use of Kodi is completely legal no matter where you are, it’s the unofficial addons that lead. Follow these simple steps to install Flixanity on Kodi. First install Stream Hub Repository Zip file by clicking here. Browse to Stream Hub Repo that we have downloaded in the first step and install it. Now Wait for Flixanity Addon Enabled Notification. It’ll take 60 seconds for you to download FliXanity by following the steps mentioned in detail. BBC iPlayer is the best choice for a Kodi addon as it’s considered the best for watching movies. The addon is directly catching content from BBC programs which includes TV and Radio content. But then again BBC iPlayer is geo-restricted as its blocked to access outside the UK. But using this Kodi guide mentioned below with the addition of using the Best VPN, you will unblock all geo-restrictions with ease. Open Kodi and go onto settings . Move to System Settings and select Expert Mode then click on Addons. Choose Yes, if warning box appears. Return to home screen and select Settings. Return back to home screen again and select Addons. Select Install from Zip file then click on Super then chose Krypton. Click on Categories then Video. Addon enabled notification will appear. On home screen choose Addons. Return to home screen again and click on Addons and Video Addons. BBC iPlayer will be there along with your other Video Addons. Genesis is the rebirth of the most used best Kodi addon being used for movies But after ReviewsDir’s tests, we found its not living up to what it mentioned. While Exodus was being shut down on and off, users switched to Genesis Reborn and came to be known as a good alternate. Its internal interface, structure and how its constructed is just as the famous Exodus. It uses the same sources to lure in pirated streams for Kodi fans making it’s a good alternate of Project M. With Genesis Reborn also, we highly recommend to power it up by connecting to a fastest VPN server. This would give you good speed while streaming on your Kodi player. Open Kodi on your device and go to Settings. Open System Settings and chose Expert Mode to click on Addons. From home screen select Settings. From Kodi home screen select Addons. Click on Install from Zip file and chose JesusBox. Being our last Project M alternate in the list, Specto has a unique interface to download and get access to video streams. It serves the same function as the famous Exodus provides its content library through pirated streams browsed online. Select Expert mode and choose addons. Click on File Manager and choose add Source. Select None and copy paste “http://kodi.filmkodi.com”. Choose ‘Install from Zip file’ and click on filmkodi to select repository.filmkodi.com. Select repository.filmkodi.com and click on Video addons. Select Specto and install it. Last from home screen choose ‘Video addons and chose Specto. ReviewsDir caters to its users and makes it a top priority to solve and provide solution and cracks for all the mysterious yet tech-related queries. By now we hope that you have gained enough knowledge on how to access Project M. But for those who are facing an error while accessing it then it means it has been shut down by authorities. Don’t freak out; we have further analyzed and come up with Project M Addons alternatives which will live up to your standards for unlimited free movies and TV shows streaming. Want to try out some cool and new addons? 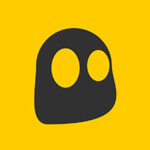 Check our updated list of Kodi addons and stream all what you love on Kodi.